A power of attorney for financial purposes can be useful for a busy businessperson. You can enact one to entitle an agent to sell or buy a car in your name, for example, or sign contracts for you. You might want to do this if you are going on extended vacation, but need to conduct business transactions while you are away. Executing a financial power of attorney can allow an employee of to sign contracts for you in your stead. 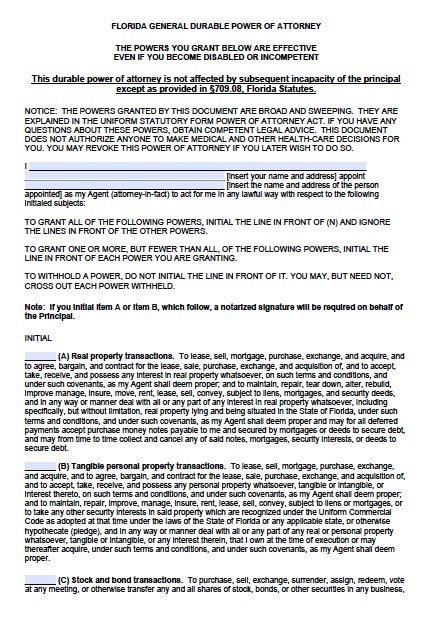 For example, if there are routine buying orders that need to be signed and executed, but they do not require your oversight, you can allow someone else to sign them. You can also allow the agent to withdraw money from your accounts, pay your bills, and cash your checks, among other transactions.